The main building at Calderstones, when it opened as Queen Mary's Military Hospital during World War One, 1914 - 1918. 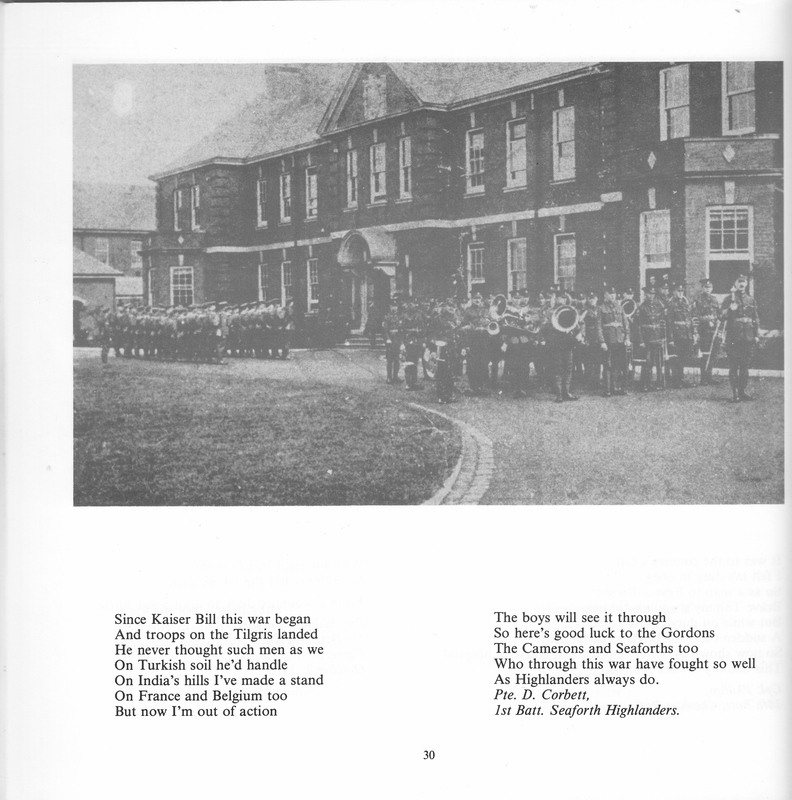 This image is from the book, 'Words from the Wounded'. This is a collection of writings from injured soldiers who came from the trenches to the hospital at Whalley. The book was published in 1989 by Countryside, and is edited by David Boderke. David Whalley contributed this item. His grandfather was a patient, returning after the war to work at Calderstones, when it opened as a long-stay institution. This photograph was probably taken in the late 1960s. 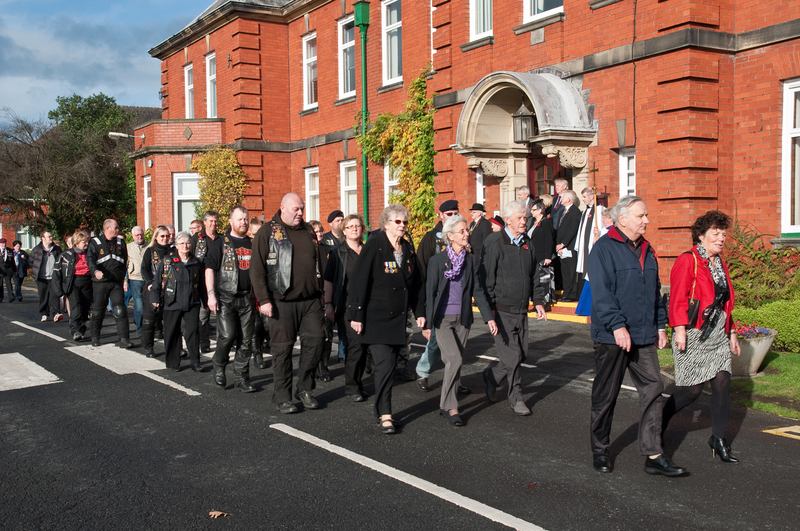 Remembrance Day Parade at Calderstones. This is an annual event in early November to remember the military personnel who died in the World Wars. It passes from the Calderstones site to the Commonwealth War Graves, at the edge of Whalley, where those who died at Queen Mary's Hospital are buried. This photo was taken by John Rowbotham at some point in the 2010s. 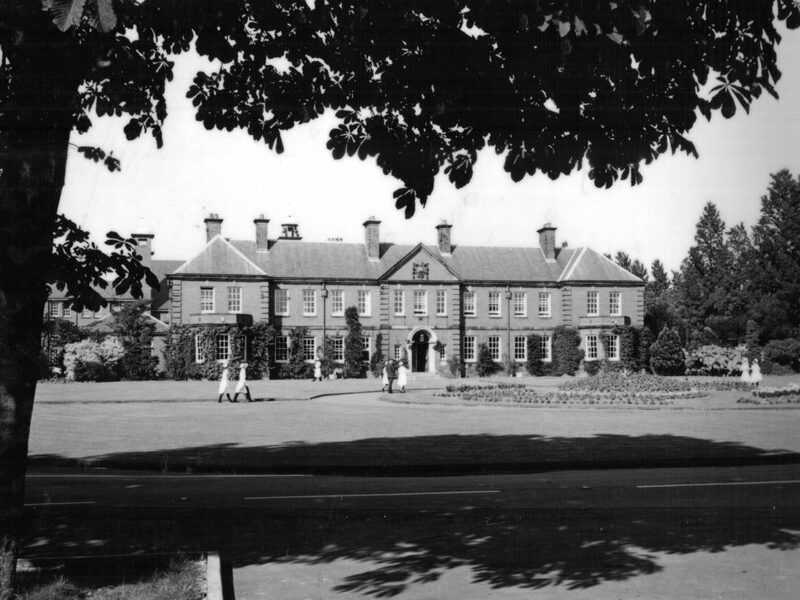 Here are a number of photographs of the Main Building at Calderstones over time. 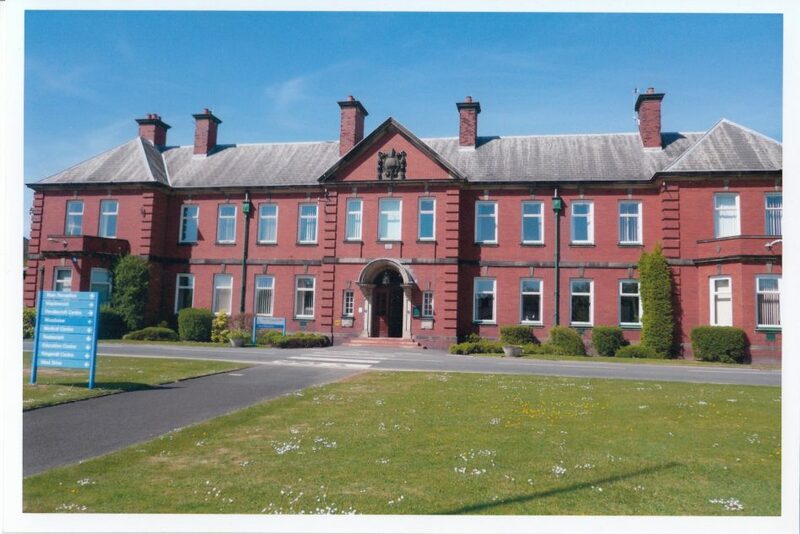 The first image is when it was Queen Mary’s Military Hospital during World War One.